'The Sunday Dinner House' in Olivia Beach on the Oregon Coast. 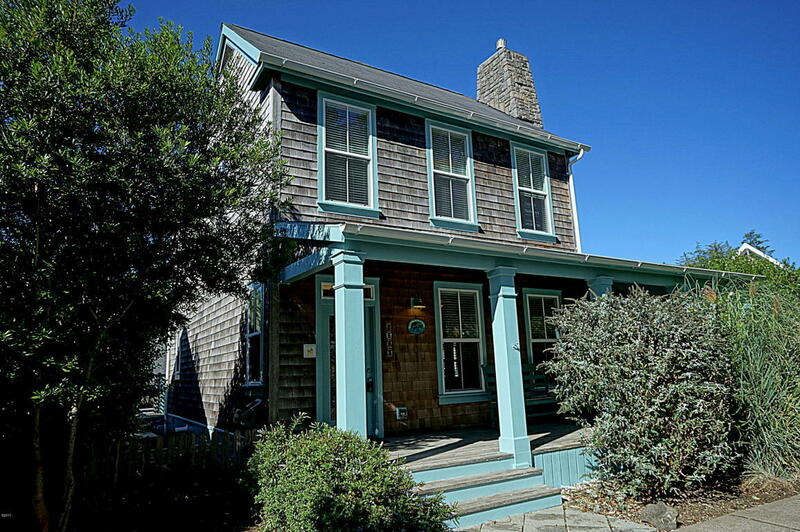 Elegant cottage home in one of the most charming traditional coastal neighborhoods. Open great room with gas fireplace and sunroom overlooking a koi pond is ideal for entertainment or family gatherings. Kitchen features stainless appliances and granite countertops and room for Sunday dinner gatherings. The mudroom is ideal after returning from a day at the beach or central park. A spacious family/game room with gas fireplace encompasses the almost the entire basement with the exception of the wine cellar ! Covered front porch, deck with hot tub and BBQ station overlooks one of the most charming alleyways that Olivia Beach is noted for. And the cozy bonus room above the garage makes this the ideal primary or vacation home.